Saint Barths is considered the French Riviera of the Lesser Antilles. Discovered in the sixties by the American billionaire David Rockefeller, St Barths is known for its beautiful bays, golden beaches, clear water and green hills. This paradisiac nature makes Saint-Barthélemy, for all St Barth, a true Caribbean gem always required by tourists from around the world. The vital heart of St Barth is the small capital, Gustavia: the former fishing village is now a lively town of low houses with red roofs, wedges streets of restaurants, cafes and boutiques. The marina, elongated in a horseshoe natural bay protected from the winds welcomed by a myriad of sailing boats and luxury mega yachts. L’ile is a continuous surprise, a continuous up and down the roads that connect the hinterland with the coastal areas, dotted with beaches, coves and inlets. In the northern area, it stretches the Marine Park which protects turtles, whales, corals and shells. At the center of the area there is the wide bay Grand Cul-de-Sac, the lagoon that is colored with all shades of blue-green, that became the island icon. Continuing south, between Grand Fond and Toiny coves, the island reveals its most savage in a barren landscape, lunar, rocky, with the open moved by sea currents. Pointing straight toward the southwest, in the Colombier direction, whose beachis protected by the Nature Reserve and accessible only by boat, you get nell’Anse de Flamands, the largest island. Are you ready for your St Barts yacht charter experience? Crewed and luxury mega yacht charters, with qualified and excellent services on board. Tailor-made cruises, without giving up comforts. Selected itinerary and routes as per your demands. The best cruise in St Barths is provided by Your Boat Holiday: certified sailing and motor boat, available with and without crew. Few and simple steps to let us propose you the perfect boat for your St Barts luxury yacht charter, with all the extras you wish. 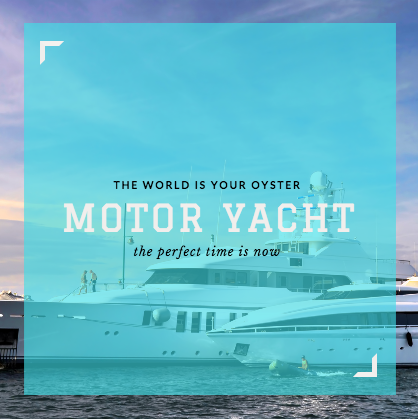 We provide you the most appropriate options, with all the infos about yacht sizes, prices, capacity and cruising areas, suggesting you lots of exceptional things to do to live your luxurious, relaxing and dynamic charter. Relying on our team of nautical experts, who assist you, knowing which yacht better accomplish your wishes and how to make everything suitable. The most exclusive sailing and motor yachts in Saint Barts are only available on Your Boat Holiday. Looking for a St Barts yacht charter? You are in the right place! 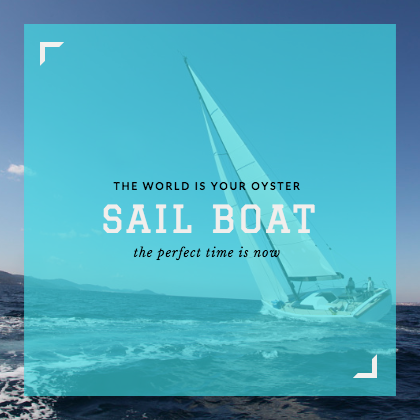 Our expert and world travellers, Your Boat Holiday’s Charter Managers test and sail aboard our selected yachts regularly and are placed to offer you transparent, tailor-made and professional tips. Our 20 years of yacht charters experience, developed in Saint Barth and the Antilles, enabled us to create close, enduring relationships with our clients, investing directly in our yachts and services. Sail or Motor Boat for your St Barts Yacht Charter? Find out which boat is the best for your St Barthelemy yacht charter. 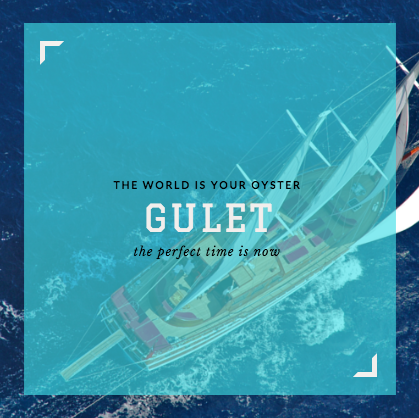 Luxury and comfortable motor yachts or sailing boats, spacious catamaran and charming gulets for your cruise. Join with us your Sicily yacht charter experience, choosing high quality boats, skippered by professional trainers, to sail in Sicily: rent a sail boat, catamaran, motor boat, gulet or charter luxury Saint Barts yachts. Alone, in pairs or with friends one thing is certain: there is no better way to discover the Caribbean Islands: a vacation aboard a cruise on a sailing or motor yacht. Your skipper and crew will accompany you throughout your St Barts yacht rental and you will appreciate the spectacular scenery, turquoise waters, white beaches for a truly extraordinary journey. During the journey, made in the silence of the sea and the waves, you can discover the Caribbean Islands from different historical and natural aspects. Modern cities, linked to Europe by the colonial past and the present, where you can walk along the path of fashion and local worldliness but also pristine bays and a beautiful sea accompanied by unforgettable sunsets that only the Caribbean can offer. These islands are the perfect model of the “tropical island”, from the white beaches to dense palm groves, coral reefs with colourful fish. There is everything that everyone dreams of finding in the Caribbean waters. St. Barts’ beaches and coastlines are a vision to treasure! Sailing on its coral blue waters on a crewed or a bareboat catamaran is something you should definitely try. Our concierge troupe will happily arrange your ocean voyage. Our crewed catamaran services take you to amazing snorkeling spots at Ile Fourche and exotic locations such as Saline beach, Flamands beach and other secluded regions where you can enjoy solitude at its ultimate best. Bareboat vessels are for souls with a thrill of adventure. If you take kids with you, they will almost feel like the mischievous pirates of the Caribbean. As you steer your yacht charter in St. Barts around the endless coves and atolls, life reveals a new dimension of freedom and ecstasy before you. Going for a yacht charter in St. Barts won’t prove heavy on your pockets! 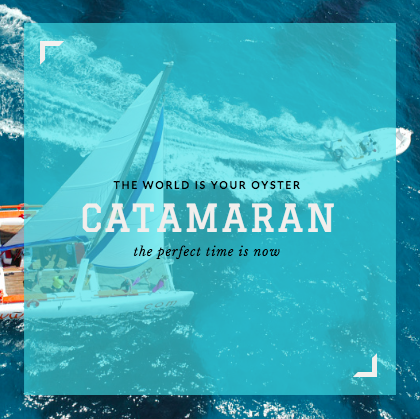 Trust us to provide you with our dexterous rental services where an all-encompassing range of catamarans is available. Suiting your specific requisites, catamarans of every size and model are catered to make cruising in St. Barts blissful. Delve into fun activities and shop at Gustavia before cruising to Colombier. Witnessing diverse cultures, watching sunsets on tranquil beaches and romantic dinners on a private yacht – sounds too good to be true? Nope! Our crewed motor yachts in St. Barts promise of experiences exactly as we mentioned. The crew will whisk you away to magical places like St. Martin where you can watch the evening Sun go down in Grand Chase. If you are up for a beach party, Gustavio is the best. Our crewed motor yachts are designed to offer you a luxurious experience on board as our veteran captain takes you through the nooks and corners of the locales. They assure safety on the waters, and you can also savour mouth-watering delicacies prepared by the Chef on board. Our motor yachts speeding upto 40-50 knots can be the perfect vessels for a week-long tour. Discover some of the most captivating beaches from privileged vantage points! Our veteran skippers will take you to hidden places that boast off a rich historical culture; essentially French and sophisticated ambience that speaks of the bygone South France days. Our chartered yachts are over 100 feet and best for exploring the surrounding islands. Sailboats or dinghies (depending upon the size)c are heritage vessels that use the wind force to sail ahead. They are relaxing and truly enjoyable. Rent for a sunset cruise, for a day or even for a week-long vacation whichever you want! We have lightweight dinghies (7’9”) and also superyachts (200 ft). You can go for bareboat sailboats for your much awaited St. Barts yacht charter. Sail on the cobalt blue waters of the ocean, the wooden masts gleaming in joy as if trying to match your mood, the horizon pink with the setting Sun’s hue; a surreal voyage, isn’t it? On the other hand, if you are foreign to these waters, we would suggest you opt for our skippered sailboats in St. Barts. Handled by expert professionals who have extensive knowledge of the locales, you will be guided to innumerous places safely. Our vessels are innately engineered by award-winning professionals and designers. Protruding dynamic outlook that in the first impression makes a traveller go ga-ga, these yachts are designed with precision keeping your safety in the first place. You can opt for sporty ones and experience the thrill of high-speed on the transparent blue ocean waters. This beach is the only anchorage with moorings and is available on a first come first serve basis. Colombier Beach is one of the best places to watch a serene sunset! Furthermore, it proves to be a great place for snorkeling and scuba diving and is also known as the Rockefellers beach. It is about half-day sail from Gustavia. Its calm waters are transparent and really eye-soothing. Apt for sunbathers, the Flamands beach is one relaxing spot to hop in. Pearly white powdery sands abound this place and sunbathers soak in as much of Vitamin D from the Sun here. It is also known as the “Billionaire’s beach” as it is cascaded with private villas that are owned by personalities who have their name in the list of Forbes 500. The surf is a bit on the rough side here, so toddlers or kids are not to be encouraged! Known as the “jewel” of the south coast, this beach is hidden behind undulant dunes along with coastal cliffs. People who are looking for seclusion, the Saline beach is ideal for them. Away from the boisterous crowd of tourists, this beach is a solitary bliss for wanderlusts. Posing as a perfect romantic hub, it is a must-go place for couples! What activities are you planning for your St Barts luxury yacht charter? When you plan your St Barts luxury yacht charter, there are numerous factors to take into consideration. We endure you the best assistance and solutions for your activities on board and on the islands: family vacations, celebrations and parties, corporate events and more. We customise your Saint Barthelemy yacht charter, to let you live the best sailing experience ever. Cascading the Caribbean’s laissez-faire lifestyle, St. Barts (Saint Barthelemy) emerges as an overseas collectivity of France. Indigenous people call it Ouanalao, and this place has been a French commune for many years forming a larger part of Guadeloupe. This exotic island is located about 35 km south-east of St. Martin. It is the sole Caribbean island that had been a Swedish colony for a certain period. In fact, the Three Crown from the Swedish National Arms still finds place in this island’s coat of arms till date. St. Barts hosts 16 diverse beaches, each of them protruding distinctive cultures. Travellers simply love these places as observing the translucent ocean waters from its beaches is an experience of a lifetime! Get set with your St. Barts yacht charter plan this year and set sail to this mesmerizing place.